Knights Haven Farmhouse is a luxurious styled Georgian Residence in scenic landscaped gardens overlooking the Shannon Estuary and is only minutes walk to the village on a footpath by the sea shore. 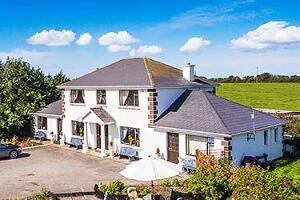 Knights Haven was named Best Family Home in Ireland 2001 and received an Award of Excellence. 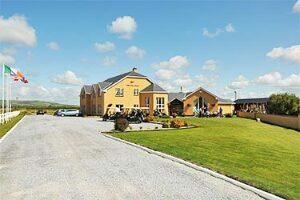 We are beside Glin Castle and Lanterns Hotel - an ideal touring base for Tralee, Dingle, Killarney, Cliffs of Moher & Shannon Airport - All approx. 1 hour drive . Tarbert Equestrian centre, fishing, tennis, Car Ferry and the Ballybunion championship links golf course are just a few minutes away - Many other golf courses less than 30 minutes drive. 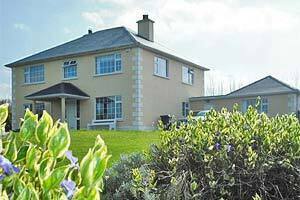 Water sports, beautiful walks, swimming, fishing, heritage centre, castles, gardens, tennis and equestrian centre where you can go trekking on country roads with beautiful panoramic views of the Shannon and surrounding countryside all close by. Foynes Flying Boat Museum, beautiful restaurants, evening entertainment and pubs nearby. 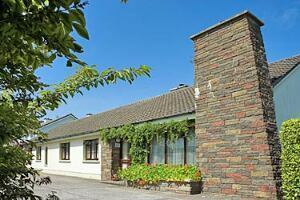 Comfortable home, near Listowel town centre. Ideal for fishing, Tarbert Car Ferry or Golf in Ballybunion. The B&B consists of 4 beautifully appointed bedrooms. Each of the guest rooms has full en suite bathrooms and also comes complete with hair dryers as well as a complimentary hospitality tray. There is a separate TV lounge. Your hosts, the Costello Family have been welcoming guests from all over the globe for many years. They are knowledgeable in various aspects of tourism and can offer advice on where to go and what to see while touring the area. There are two electric vehicle charge points closeby. Please Note: We do not have wheelchair access. We only accept payment in cash.